The federal government is upping the ante in their war against online piracy. In an attempt to give copyright holders and the authorities all the tools required to disable access to so-called rogue sites, lawmakers will soon introduce the Preventing Real Online Threats to Economic Creativity and Theft of Intellectual Property Act, also known as the PROTECT IP Act. In short, this is magnifying the censorship war by orders of magnitude. According to the language of the proposed act, search engines, Internet providers, credit card companies, and ad networks would all have to sever any connection or access to web properties deemed to be “rogue sites”, may of which are hosted outside the confines of the United States. Enforcement tools -These would no longer be limited to the government. Private and corporate rights holders would now have the ability to target domains as well. Enforcement tools delineated in the bill include ISP blockades, domain seizures, search engine censorship, and cutting funding for websites that allegedly infringe. 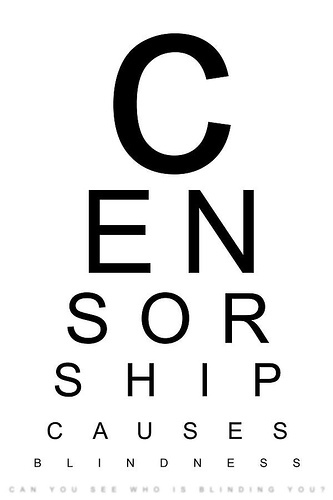 Search Engine Censorship – I know I mentioned this in #1, but it is a huge issue. The emphasis here is on forcing intermediaries to get involved in policing such sites. Rightsholders have had difficulty suing the millions of end users engaged in infringement, and they have had difficulty suing the sites themselves when they are based abroad. But MasterCard and Google? Those are easy, US-based targets who will comply with any law Congress passes. The PROTECT IP Act goes even further than forcing these intermediaries to take action after a court order; it actively encourages them to take unilateral action without any sort of court order at all. The bill summary makes clear that ad networks and payment processors will be protected if they “voluntarily cease doing business with infringing websites, outside of any court ordered action.” If a search engine decides that the next YouTube is a copyright infringer — and rightsholders have often sued sites like Veoh and YouTube in the past — it can simply cut off advertising for that reason and be immunized under the law. So can Visa. I think that those of us who have studied history are familiar with the concept of unofficial blackballing that occurred during the “Red Scare” of the McCarthy era. In an effort to avoid possible legal entanglements, businesses and organizations would refuse membership to those who held politically unpopular views. Active, official harassment was often involved as well. This same sort of chilling effect could begin to propagate online if this rather drastic proposal makes it though Congress. Oh, and if you noticed that “search engines” included in there and wondered, yes, that’s different from COICA as well. Beyond just requiring these other service providers from blocking service, this new law will require search engines to censor sites out of their index. The bill claims it includes “safeguards,” but those “safeguards” are that after the court order has been issued and all the third party service providers (payment process, ad networks, ISPs, search engines) have been required to block service to the site, the site can “petition the court to suspend or vacate the order.” That seems a bit late in the process, doesn’t it? There is a presumption of guilt that seems implicit in the current wording of the Act. Once a website comes down, the reputation damage begins. The tools and definitions presented would make it far too easy to apply leverage on content that oppose certain interests or views. The freedom of information and communication provided by an open and uncensored Internet are one of the most important advances we have made as a species. The unfettered wealth of content ensures that no one side rules the narrative — not mine, not yours, not theirs (whoever “they” may be by your definition). This is vital for any sort of healthy discourse. Here is the text of the PROTECT IP Act should you wish to peruse it in detail. I would love to hear your opinions on the subject. Please leave us a comment and let us know your thoughts! Image by Andréia / Andréia Bohner, used under its Creative Commons license.